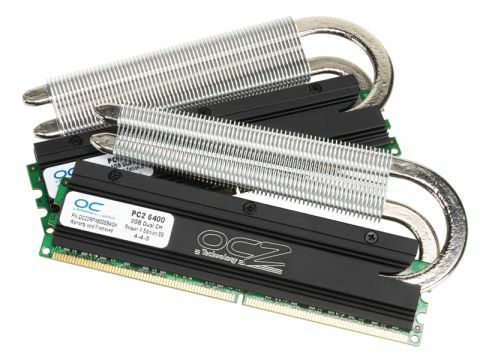 OCZ's Reaper-X is designed to draw heat directly from the memory chips, rather than just around them. Instead of active fans, though, this relies on a ferocious looking radiator. This is all well and good, but it does make fitting the modules a bit of a bugger. You can't push down on the radiators without breaking them, and getting to the module underneath involves losing knuckle skin. Performance-wise, though, they do the job well. The memory ran cooler than most of its peers and overclocked to 1,066MHz without any issues. Lots of guarantees also protect your extra investment, making the extra spend worthwhile.